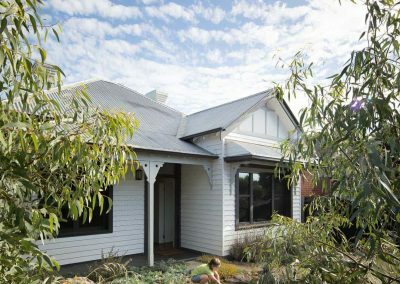 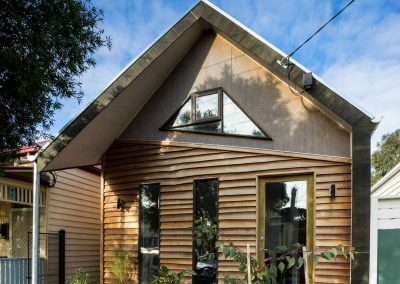 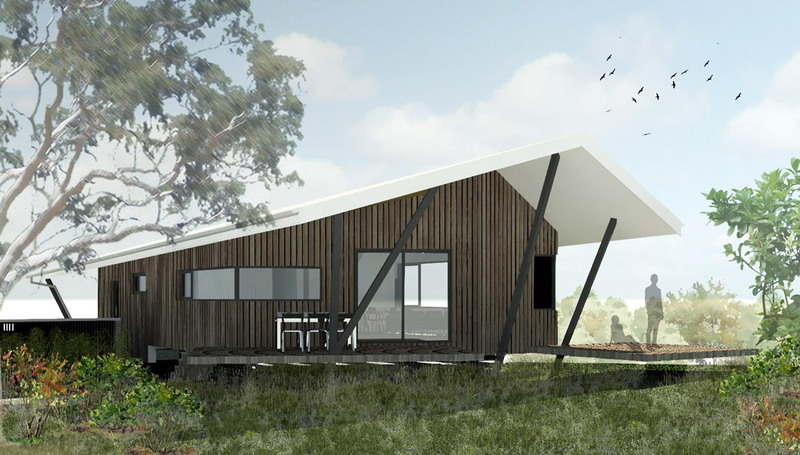 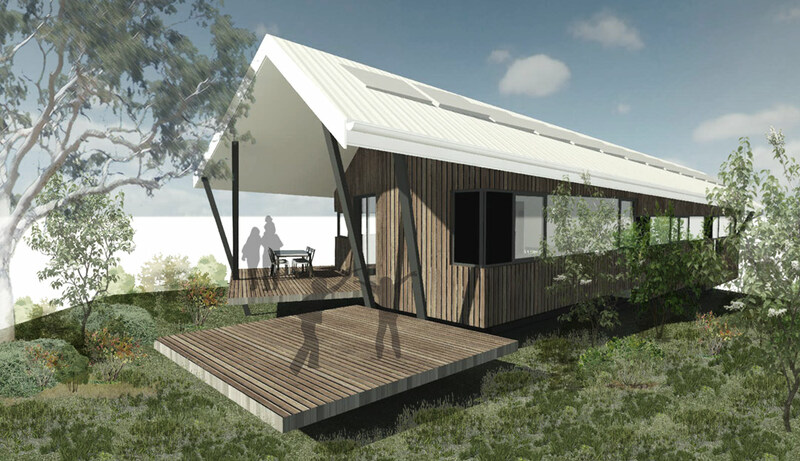 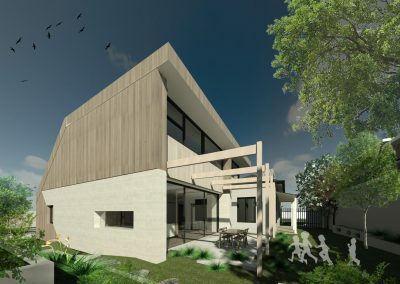 Situated in a new sustainable living development in Cape Paterson, environmental performance is a key driver in the concept of this home which is designed to Passive House standards. 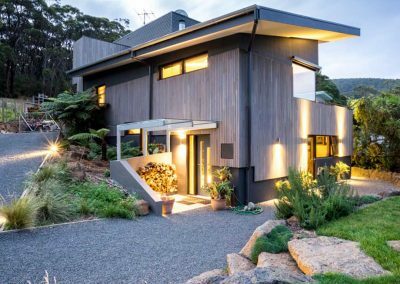 The natural slope of the site and prime location just minutes from the beach created a unique opportunity for this house. 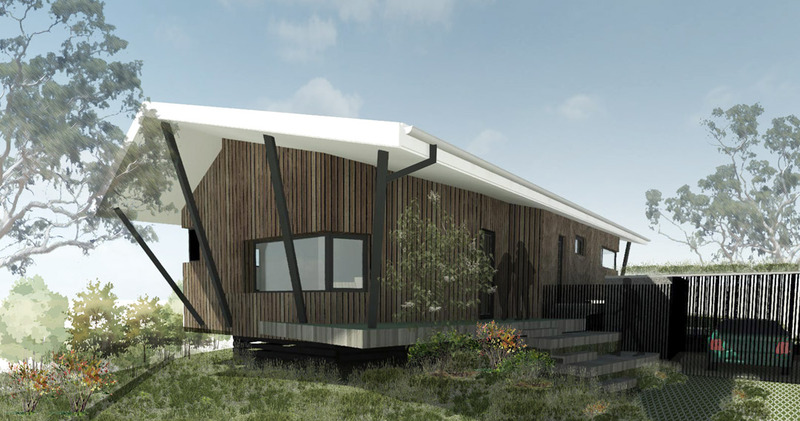 The design features a floating volume over the tiered landscape, which captures views of the ocean to the east and of surrounding nature reserve to the west. 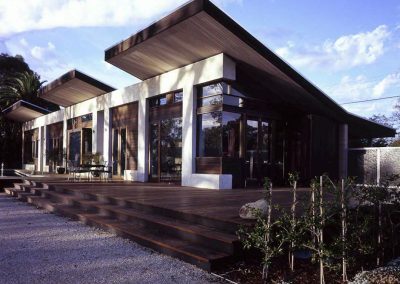 The sweeping form of the roof mimics the slope of the landscape, reduces solar heat gain and allows for solar power generation. 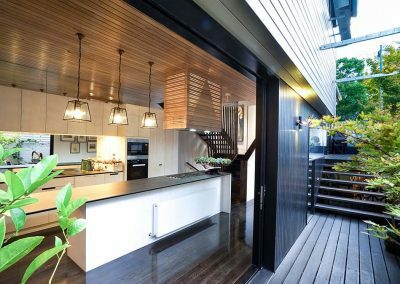 Featuring an open plan living, kitchen and dining area, the plan allows for flexibility in use, future proofing for family growth. 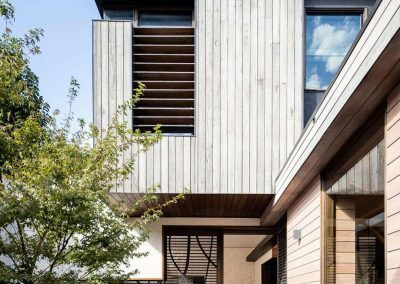 The summer deck and winter deck are oriented to provide comfortable outdoor entertaining opportunities year round. 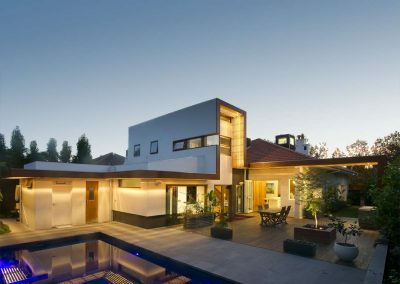 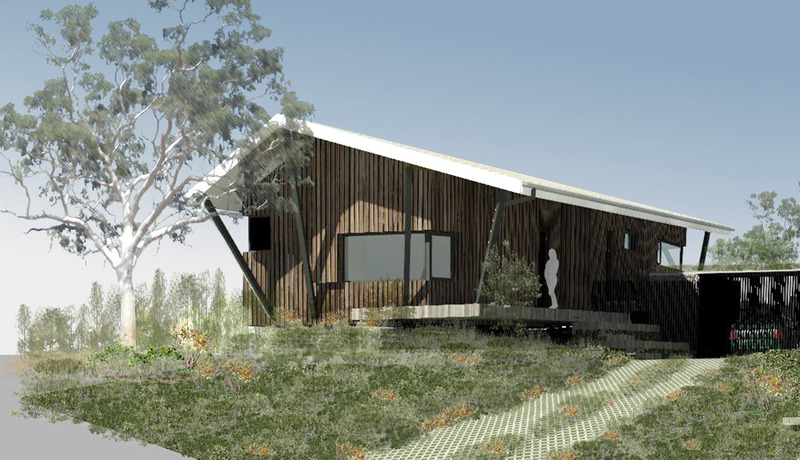 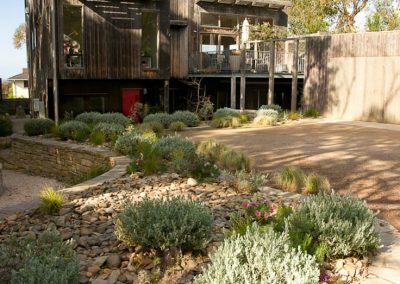 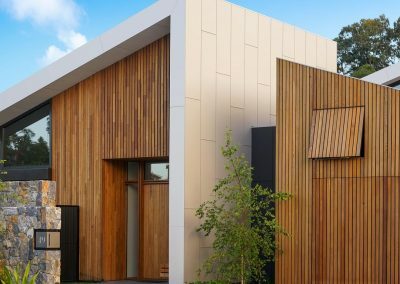 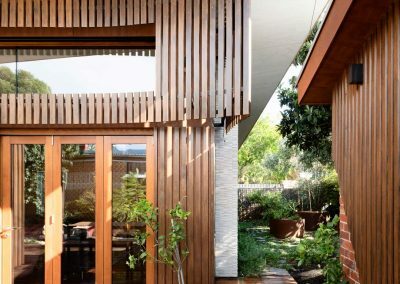 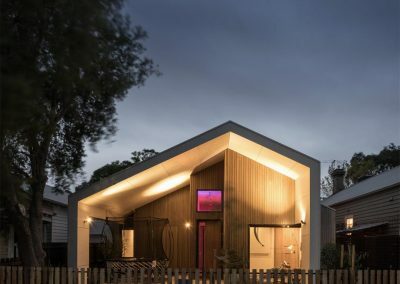 The design also includes natural materials including locally sourced timber and native plants and vegetation which further connect the residence to its context and creating a warm and inviting home.